Launched in 1992 as the Impreza WRX and aimed squarely at the Mitsubishi Lancer Evo the Impreza was an instant hit. Shortly after launch the standard WRX was given to Subaru’s Motorsport branch – and the WRX STi was born. This was as close to a road going rally car as the Impreza got and is the one to go for. 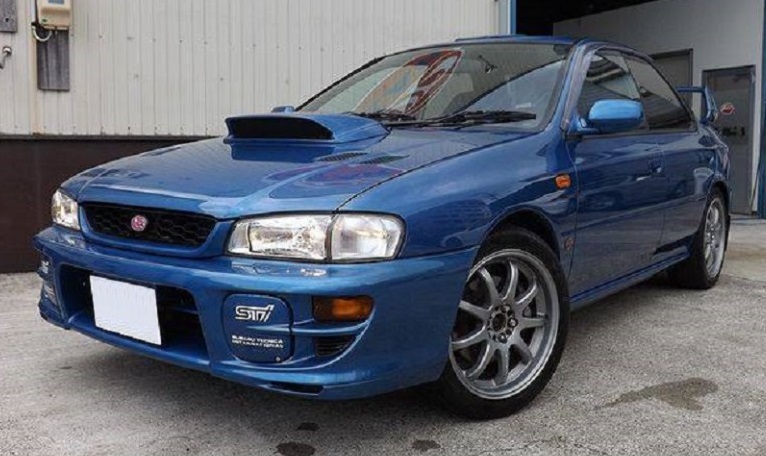 Over the Impreza’s production run (92-00) there were 6 versions and several special editions including the legendary 22b. Each version came with some minor upgrades but it doesn’t matter which you choose as you really can’t go wrong. The handling is fantastic and the flat 4 boxer engine is punchy and delivers effortless power with that distinct Subaru flat four sound. Prices are still relatively low but Subarus are one of the most popular enthusiast cars in the US and those early production models will be highly sought after. Prices are already beginning to rise and WRXs of all generations are currently one of the hottest, most in-demand cars on the market today. That enthusiasm with the uniqueness of owning a true JDM version equals a recipe for a big, long-term demand that we’re just starting to see the beginning of. Get as stock a car as you possibly can, there are tons of modded Subies out there but a genuine original is truly a rare gem.